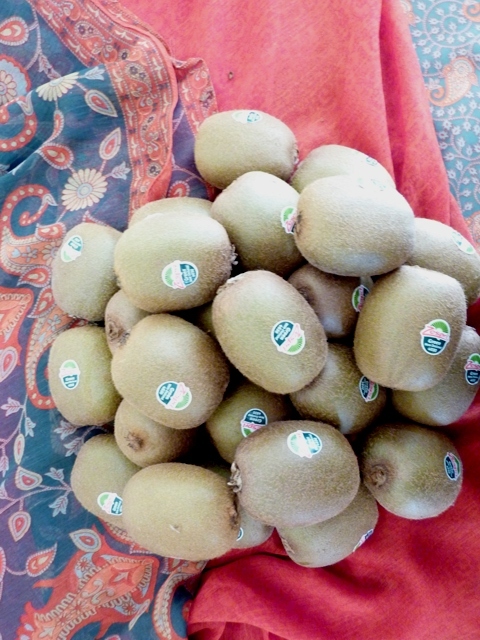 Kiwis!! These delicious furry fruits that are packed with an amazing amount of nutrients, has as much as double the vitamin C as an orange, and the same amount of potassium as a banana,(1 fruit with the nutritional benefit of 2). 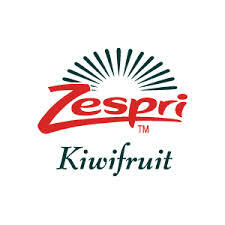 Kiwis are a great source of fibre and antioxidants, they have an amazing low fat content, and they are low GI and contain omega-3 fatty acids. 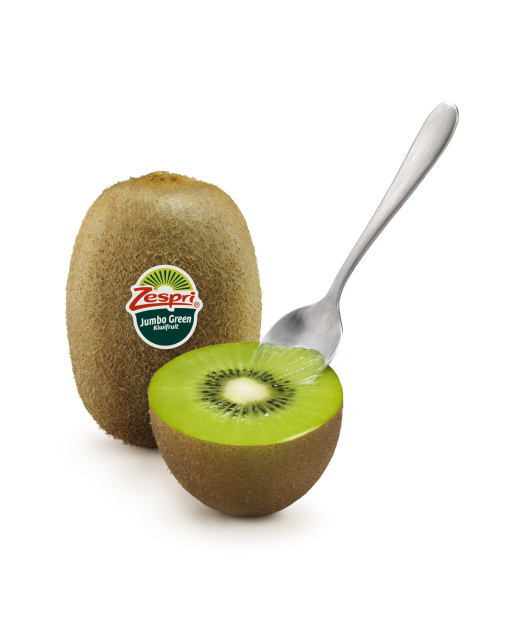 This makes Kiwis a wonderful addition to the diet of kids and adults alike. 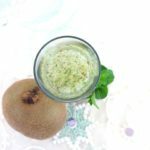 Bite for bite of a kiwi-the kiwi contains more essential nutrients than 27 of the most popular fruits. 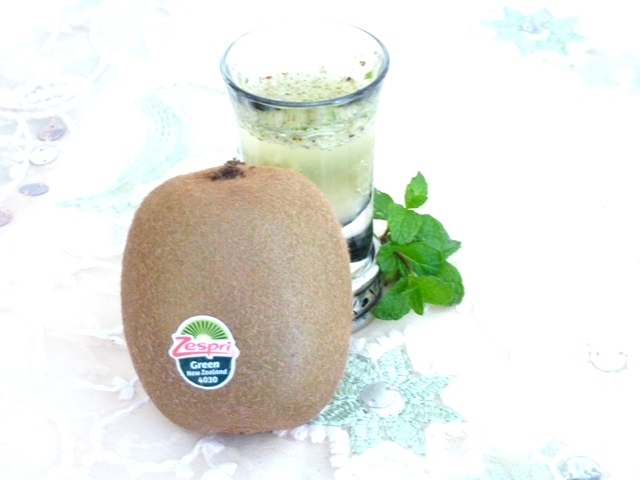 So there we go, the Kiwi emerges as one of the most nutrient rich fruits in the world. 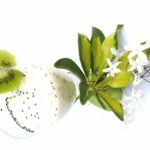 Kiwi Cooler- Kiwis and the other 2 ingredients of my cooler are just as nutritious and they add a flavorful punch to this cooler. My refreshing cooler will be incomplete without the added health benefits of mint-those luscious green leaves whose aroma fills ones home with freshness and they are not just pretty looking and good smelling they hold a host of nutritional value (did you really think I was going to add anything that was not nutritious to this cooler?). 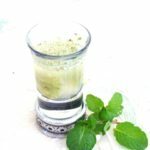 There are a number of varieties of mint, each one of them packed with various types of nutrients like foliate, dietary fiber, vitamins A, C, calcium, copper, iron, magnesium, manganese, and zinc. 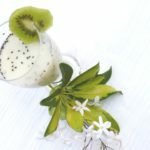 All of this blitzed together and added to some Sprite Zero or sparkling water makes an incredibly refreshing summer drink. 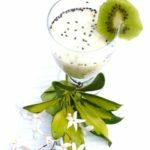 The kiwi on the top of this is you won’t even realize you are actually having a multivitamin drink and enjoying it as well-what could be better and who knew being healthy was this simple! !